Deerhound breeder about 20 years ago? mushroommagee created the topic: Deerhound breeder about 20 years ago? It's a longshot but I wondered if anyone remembers a Deerhound breeder from about 20odd years ago near Dunblane? My inlaws' Deerhound came from a breeder there, must have been about 20 years ago but they can't remember the name of the breeder, or the dog's pedigree name. Now we're wanting to get our own Deerhound, I wanted to find out more about their Deerhound, Rab- however when I do a google search for "Deerhound + Dunblane" all I get is lots and lots of hits relating to the Deerhound show in 2009. If anyone can remember anything I'd be really grateful to hear- I'd love to research Rab and his pedigree- I do know that he came from very good stock with some show winners quite closely related. I'd love to know more about his history / the history of his breeding, and when we get our own Deerhound to see if they are at all related. Brodie replied the topic: Re: Deerhound breeder about 20 years ago? 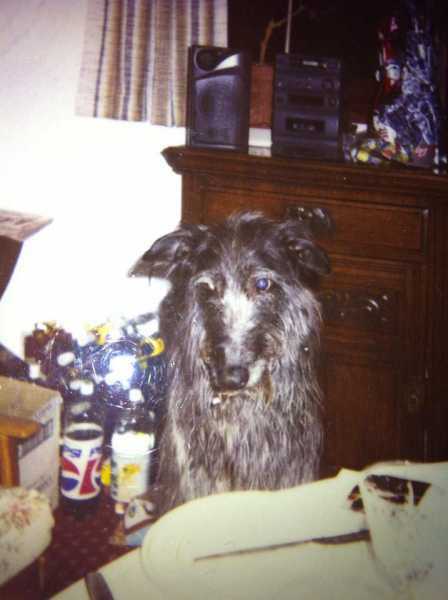 mushroommagee replied the topic: Re: Deerhound breeder about 20 years ago? Thanks for that, I will get in touch with her and see if she can help me. Lurch8252 replied the topic: Re: Deerhound breeder about 20 years ago?